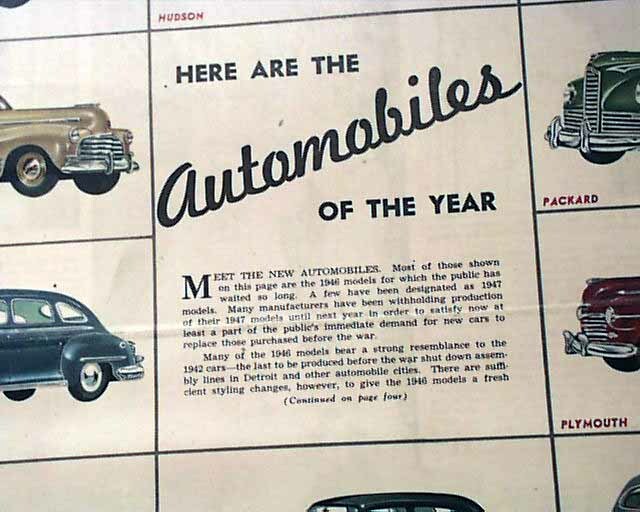 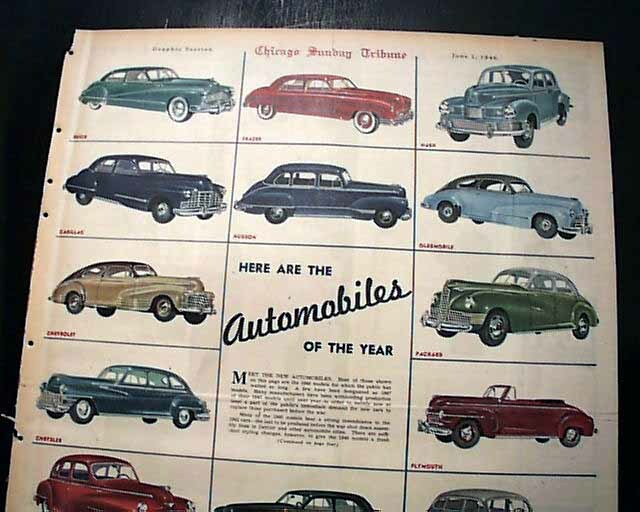 The front page of this section has 19 color illustrations headed: "Here Are The Automobiles Of The Year" which shows the various makes for the year 1946. 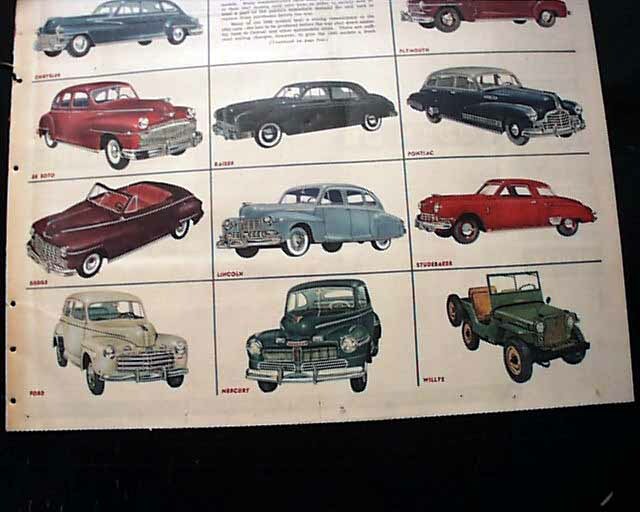 (see) Great for display. 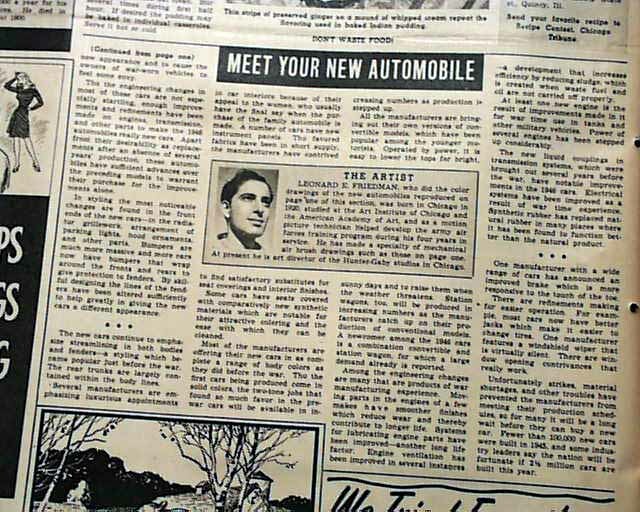 Article continues on page 4. 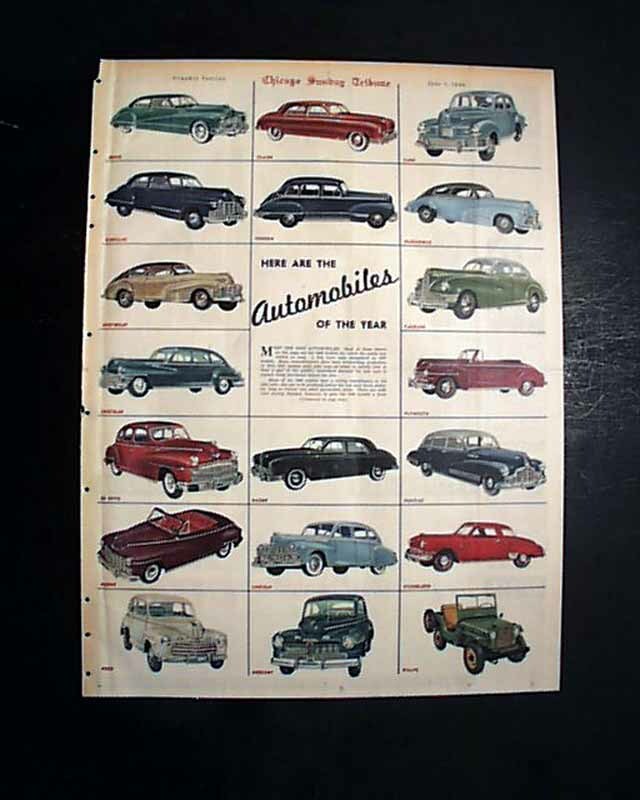 Complete graphic section only with 10 pages, minor spine wear, generally very nice.